Looking for best hosting and domains providers? We have shortlisted a big list of web hosting companies that can host your website for a reasonable price. On the web, you may find many web hosting companies reviews that are biased and it's really difficult to make a decision. Web hosting reviews are mainly dominated by few key players and many other good providers are never evaluated by most webmasters. Every web hosting provider has different benefits and trade-offs and there is no one size fits all option so choose carefully. Do you have a website? Does your website have optimized content and slick design with the great user interface? It is of no use if you do not have a server to the house and host your website. It is quintessential to have a server and use web hosting technology as it drives the web traffic to your website. The web hosting service provider offers unlimited disk space with bandwidth and email addresses. When you register with this company you will be entitled to get certain free services like domain registration, security suite, site building tools, online store, search engine and marketing credits. If you are not satisfied with the service you can get your money back anytime. The internet makes anonymity commonplace, even social media platforms which are seeming "too personal" for many, allow the user to create a totally new identity with a few clicks. Though this is beneficial to some, it also nice to know what is on the website. For many of us living in the UK or Germany, there is a good chance that 1 & 1 Internet had some part in your site or a site you frequently visit. 1 & 1, a German company based in the US, has been providing internet related services for personal or business use for nearly 30 years. With about 13.5 million customers using their web hosting service and website building options, they have become a reliable global web host. A great part of their business model, however, is that while they cater to a large corporate audience, they also can be just as useful for a new blogger wishing to get their site started. They can be a great source for getting online, starting a blog and enhancing one's presence on the web. Just Host is the place for you when looking for reliable and affordable web hosting. They offer unlimited space, transfer, domain hosting and email accounts. The service provider offers free services to its clients like site builder, domain name registration, and instant setup. The company offers 24/7 customer support and a promise of a money back. Godaddy is a renowned name in the service of web hosting and domain name registration. They offer hundreds of domain names and help you find success online with the right domain. The service provider offers big savings in web hosting along with round the clock customer support. This company is # 1 in this market. HostGator is another name for easy and affordable hosting. The hosting service provider offers unlimited web hosting to its clients’ websites. The company offers dedicated servers to its clients and also offers reseller and VPS hosting. The company guarantees 99.99% uptime and 45-day money back if not satisfied. The Company is in the business and provides quality web hosting since 2003. It provides web hosting service that is reliable, of high quality and affordable. The company offers dedicated hosting, shared hosting and VPS hosting. Since inception, the company has received many web hosting awards for its dedication and quality service. The service provider has brought revolution in the field of web hosting technology. It offers unlimited disk space and bandwidth. It offers superior, affordable and reliable web hosting service to both small businesses and individuals. The systems are 24/7 secured and run on the N+1 power system. The front-end network has redundant routers that connect to the world through BGP. Westhost is the name trusted by the many small businesses. This service provider is an expert in small business web hosting. The service provider offers dedicated servers along with reseller hosting and cloud hosting. The professional web hosting service provider has hosted more than 1 million domains. The service provider is the leader in small business hosting. The company is offering reliable and affordable web hosting services to businesses and individuals. The dedicated and experienced support staffs are the key to the success of the company. The company offers both dedicated and VPS hosting. In Bluehost, you can expect the best hosting at a cheaper price. The service provider offers you unlimited hosting space with unlimited domain names and bandwidth. The service provider offers reseller, VPS and shared hosting. The service providers have hosted over 2 million websites worldwide. GreenGeeks offer free domain name for a lifetime. Just like its name this service provider is conserved as the green web hosting company. It offers unlimited web space and bandwidth. Their server has 99.9% uptime and the company has a great enterprise network. Customer satisfaction is their first aim. DreamHost is one of the renowned names in the field of web hosting. The service provider offers fast and affordable cloud storage service. They offer shared, VPS and dedicated server-based hosting services. The current customers are all satisfied with their service and offerings. Linode offers high-performance SSD Linux server for all the infrastructure needs of their clients. The service provider has the fastest processors in the market of cloud computing. The simple and easy control panel helps you navigate through the data that you need for reporting purposes. Quality customer service and world-class facilities offered by this service provider make it a choice in the field of web hosting. This is a homegrown organization and one of the best in the industry. They offer a money back guarantee if you are not satisfied with their service and offers. The Company offers public cloud operations. The aim of this service provider is to manage the entire infrastructure needs of their clients so that their client can focus on other strategic areas of the business for the growth and they will take care of the cloud operations. SiteGround is a web hosting service provider that is inspired by the unique handmade philosophy. The web hosting service of this organization is crafted with care. They have tailor-made their plans in such a way that it can suit every individual or business. They offer free domain names and 24/7 technical support. 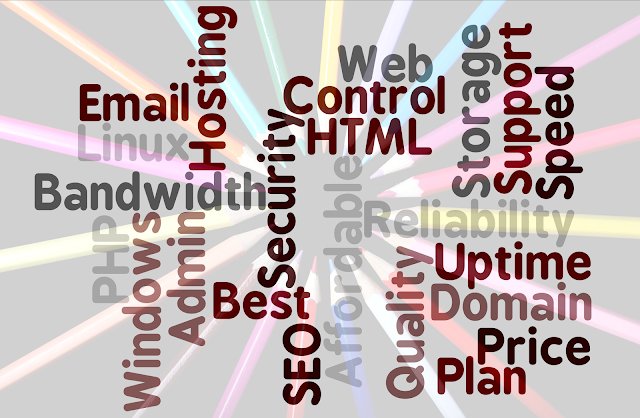 The fully featured web hosting service from Host Abulous has made it a choice for many individuals and businesses. They offer both Windows and Linux based web hosting services. Cheap and affordable hosting plans and great customer support are the backbones of their service in the web hosting market. The organization offers website hosting, domain name registration and also website designing. They're modern web hosting tools and technology help them keep their promise to their clients. They use CMS tools like WordPress, Joomla, and Drupal. Their support center is always there to answer your queries regarding any service. If you are looking to build an attractive website for your business Squarespace is the name that you can trust. Their modern technology and tools for building websites are amazing. Their professional team of website designing is well experienced and they can give your business website a competitive edge. This service provider is one of the renowned service providers in the market. Their servers are available all over the world and they all have 99.9% uptime. They offer a money back guarantee as well and free site migration from other service providers. The easy to use control panel helps you to control the site activities. ICD Soft is a name that you can trust in the field of web hosting and domain names. They register all types of domain names. The company offers various types of packages according to the requirements of their customers. The service provider has a great support network that answers all your queries. Powerful web hosting starts with Bravenet. They offer unlimited hosting packages along with unlimited storage and bandwidth. The tools and techniques of the service provider offer rich website analytics and statistics. Their servers are enabled with load balancing features. You can access loads of webmaster tools and offers spam and virus protection. WebFaction offers web hosting service for the developers. They offer flexible hosting service without having you to maintain your own cloud servers. They offer great economic price for their service along with money back guarantee and free trial. They use Bare metal Centos6 – 64bit operating system for hosting. It offers powerful web hosting service. The operating systems of the servers of this service provider have full root access and are capable of rebooting. They have 32-bit and 64-bit architecture in their operating systems. The company claims lowest price on bandwidth and the management tools are simple yet effective. It has high-performance Windows Hyper-V VPS. They are all scalable and flexible. The organization uses Windows Server 2012. The service provider offers free monitoring and patching. They offer web hosting, email hosting, and domain name registration. Their service plans are crafted to suit everyone’s needs. Hostway is the name for web and domain hosting service. They are one of the best web and domain hosting service provider that offers you service when you want to make your entry in the online world. The starter pack is built to suit your need when you are the first timer in this section. This company offers hosting and domains for a reasonable price. Doteasy offers unlimited SSD hosting. This company offers web hosting, domain hosting, and cloud computing services. The 24/7 customer support system helps you get the answers to your queries in an innovative way. The packages are tailor-made in order to suit your varying needs in the business. This service provider offers unlimited hosting plans and the tools and technology offered by them help you build your own website. However, if you do not know how to build a website their expert team would help you do that as well. They offer dedicated, sharing and VPS hosting. The web hosting service offered by Hostmonster comes with loads of features that you might like. Unlimited disk storage, unlimited domain hosting and free drag and drop site building features are few among them. They have the world-class technology to support their service. They offer free website scripts as well. You can build your professional website in no time with the services offered by Yahoo Small Business. Loads of features are available for you in the services offered by them. They have customized hosting plans to meet the varied requirements of varied customers. The interactive features and analytics tools give unparalleled value for your investment. When you are looking for hassle-free hosting Webhosting Pad is the service provider to whom you can reach out. Unlimited hosting space with bandwidth and free domain name are some of the features that this service provider offers to its customers. Along with that they also offer web designing services as well. This is a fast and reliable web hosting service provider. They offer both Windows and UNIX based web hosting services for their clients. They include the free domain name in their web hosting services. Their hosting plans are customized to suit needs of every prospective client. The Company offers high-quality web hosting service and is one of the first companies that focus on the same since 1997. The company uses Dell PowerEdge servers in order to host their customers’ website, unlike other service providers who use desktop computers for this purpose. They have three data center locations. Get online with the web hosting service provided by Startlogic. Lightning-fast hosting and secure web protection make it a choice for website hosting for many individuals and businesses. They offer easy to use site building tools and round the clock expert support assistance to their customers. Netfirms is a well-known name in the field of web building and hosting services. They provide unlimited bandwidth and storage space. Free domain and free ready-to-go websites are the two unique features of their service. This is a great service provider if you want to build an e-commerce website. Dotster offers both Windows and Linux based website hosting services. This service provider offers fast web hosting service that is reliable. They offer free setup. Their hosting plans are eco-friendly. They have customized hosting plans with unlimited bandwidth and website disk space. They offer 24/7 monitoring of the hosting activity. They offer reliable and fast web hosting services to their clients. Their hosting plans vary as per the requirements of their clients. Reliable uptime and numerous open source applications are key features of their service. They offer ample amount of disk space and extensive program language support. The mission of Blue domain is to provide best hosting tools and services. They offer fast and reliable services in web hosting that is loaded with high features. They offer web solutions for both beginner and advanced users and this service provider is trusted by many web developers. Webhero offers shared web hosting and domain hosting services. The control panel and knowledgebase of the service provider is well versed with the current trend. They offer free site builder tools that are easy to operate and get your personal and business website ready to be hosted. Unlimited hosting and free domain are the key features of the services provided by Powweb. The service provider has load-balanced hosting technology so that it can evenly support all their customers. They offer a complete and true solution for all the hosting needs of their clients. The service provider offers critical web hosting solution right from the beginning of World Wide Web. Their mission is to provide reliable and affordable web hosting solutions. Their knowledge base and teams are well equipped in order to provide seamless service to their clients along with world-class technology. iPower provides loads of hosting solutions. Apart from hosting solutions it also offers services like website management, domain, e-mail and e-commerce services. When you get started with them you will get free domain name and unlimited bandwidth and disk space. They also offer a 30-day money back guarantee. If you want to put your ideas into web Easy CGI is the service provider whom you can trust. They offer unlimited disk space and data transfer. Both shares and VPS web hosting services are offered by the service provider. Recently they started to offer Windows 2008 hosting service. The tagline of this service provider is “Hosting, Done Right!” They are true to their tagline. They offer modern website hosting services that are at par with the modern technology and services. They have both dedicated and VPS hosting service to offer to their clients. They have round the clock support through online chat and phone. Mediatemple is a hosting service provider that offers fully loaded website hosting service to its clients. The service provider offers grid hosting service on SSD platform. This is the original public cloud and it has become more improved and faster than ever before. They have 24/7 customer support to resolve your issues. The service provider offers affordable web hosting plans that suits all your business needs. The control panel of this service provider is designed keeping the users in mind. It is very much user-friendly. They have round the clock support for their customers and also help you in building your interactive website. The Wordpress hosting is the best one among the lot. There are certain features that need to be qualified in order be hosted in Wordpress. Bluehost and DreamHost are two of the web hosting service providers that offer Wordpress web hosting. You can get great support while getting your hosting in Wordpress.org. This is a service provider of hassle-free Wordpress hosting. This service provider offers best fully managed Wordpress hosting platform. Their host service is secure and scalable. The call themselves customer inspired service provider. They offer world-class service in web hosting and they have a great network of customer support. In this article, we have seen many web hosting service providers. All of them offer great services in their own way. It is up to you to choose the one that best suits your requirements. The technology is changing every day and so are the web hosting service providers in order to keep pace with the changing website hosting environment.